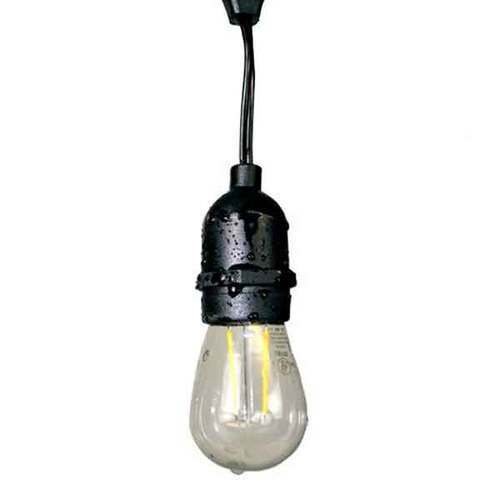 This LED patio light is made from commercial grade material and designed to last. 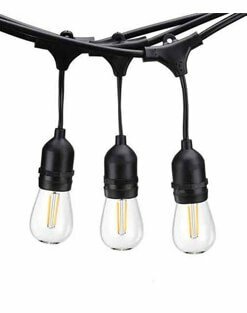 The 18 gauge cord is rubber coated and features an industrial strength catch at the top for easily hanging it outdoors. 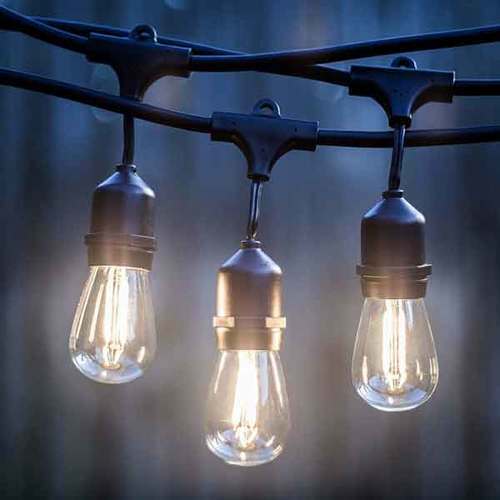 Each bulb socket hangs approximately 3" from the cord and is recessed so that the outter rubber section forms a water resistant seal when the bulb is properly installed. 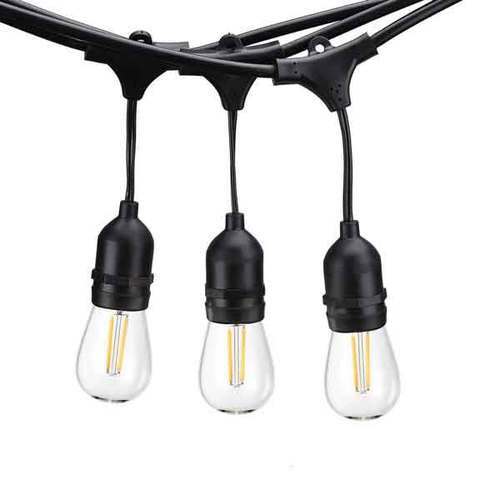 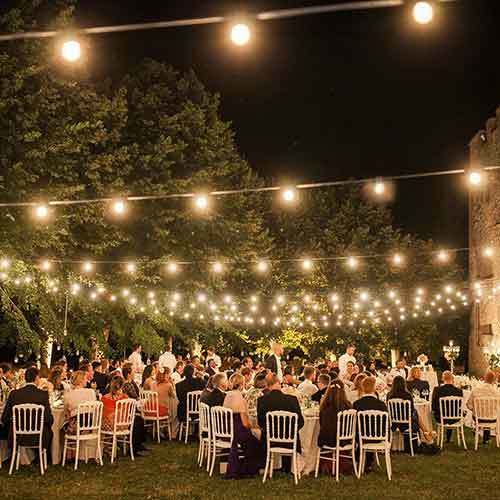 Come rain, wind, or snow, this LED string light will stand the test of time.